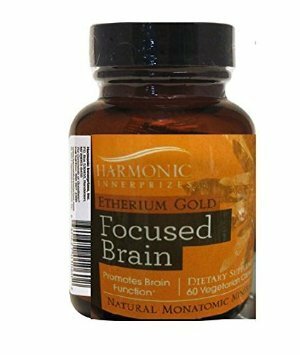 Etherium Gold is the only monatomic gold product whose efficacy has been clinically proven to enhance brain function. Many experience enhanced mental clarity, greater mind/body coordination, improved learning ability, increased creativity, and calmer reactions to stressful situations. Thousands of people from all walks of life have benefited from Etherium Gold. Many have been able to use Etherium Gold for learning disabilities. Athletes, especially those in the martial arts, love Etherium Gold because it tends to promote greater mind/body integration. Its electromagnetic frequency and wave patterns increase alpha brain wave production through an electromagnetic modality that harmonizes the two hemispheres of the brain. It works very well whenever increased mental focus is essential. Take it before an important career meeting or event, or to help you pay better attention to a teacher or a public speaker. Whenever you want to be more present in any situation, Etherium Gold will keep you focused and attuned. This powder comes from a trace mineral deposit caused by a meteorite implosion. Etherium Gold includes the monatomic mineral elements of gold, iridium, rhodium, silver, platinum and chromium. It is often referred to as white gold powder, or the acronyms ORMUS or ORMES (Orbitally Re-arranged Monoatomic Element).